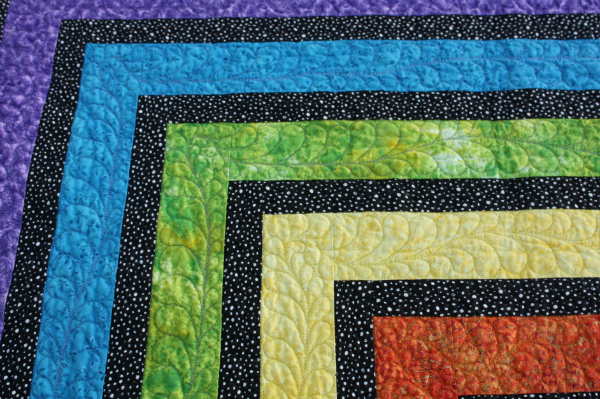 Devoted Quilter: Rainbow Ripple Pattern Release! 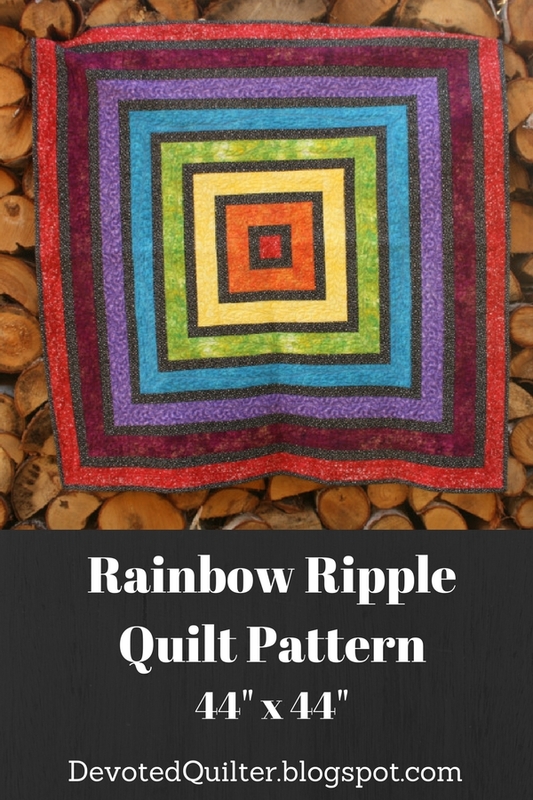 I am excited to release the pattern for Rainbow Ripple today! The PDF pattern is now available in both my Etsy shop and my Payhip shop. I love the combination of vibrant rainbow colours and a black print to make them pop, don't you? 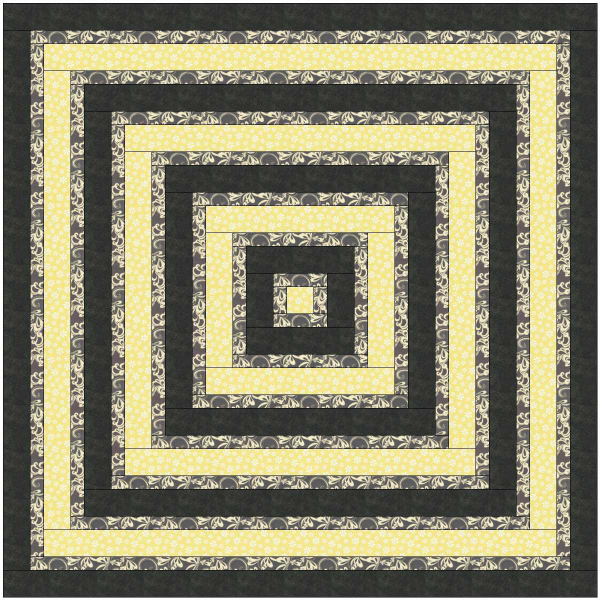 This quilt finishes at approximately 44" x 44", making it a perfect baby or wall quilt. It comes together quickly and there are no points to match up anywhere. Easy! 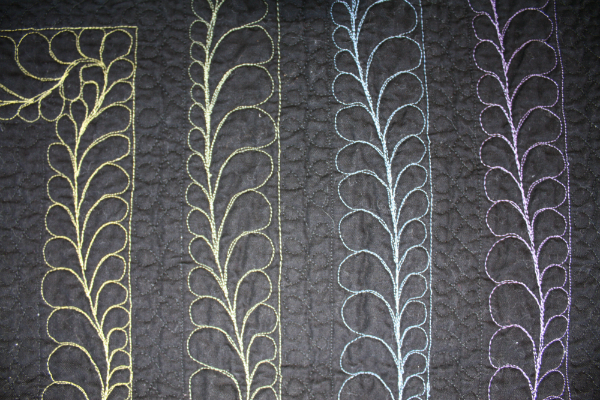 I had a lot of fun quilting feathers in each of the coloured strips of my version, but it would also look great with straight line quilting and spiral quilting would be amazing. There are so many possibilities! How would you make your Rainbow Ripple? Click to buy your copy of Rainbow Ripple in my Etsy shop or my Payhip shop. 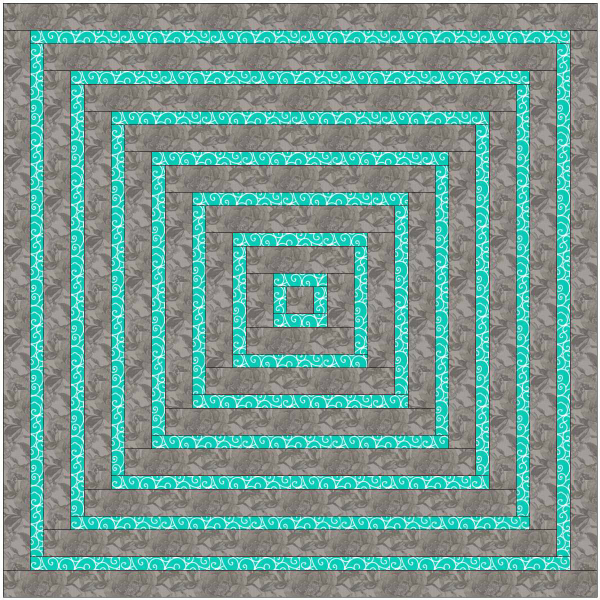 Congratulations on the pattern release, Leanne! Your version is fabulous (who doesn't love a rainbow? ), and I really love getting to see a design in other colorways, too. 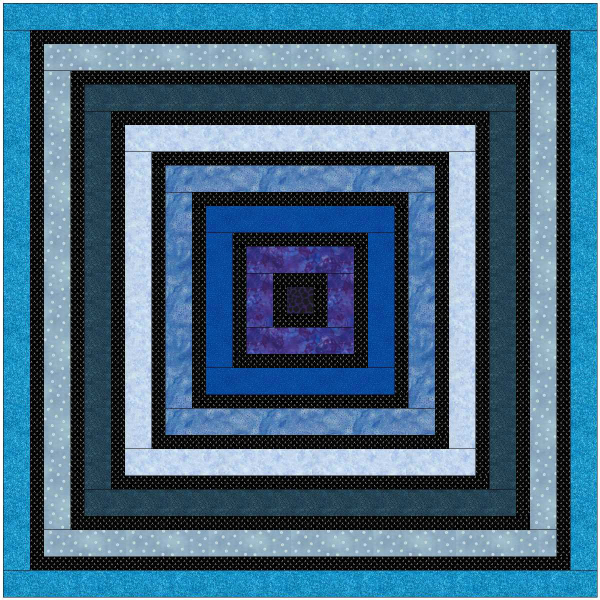 Your pattern is beautiful and so is your quilting! It's a beautiful pattern!! I love the rainbow! Congratulations on your pattern! I love the rainbow colours. Congrats on the release of your pattern! The rainbow one is definitely my favorite. Now I'm wondering what it would look like if the black and the colors were reversed... ;) Very pretty! Congratulations on another great pattern Leanne! Congrats on your pattern! You just can't go wrong with rainbow, and that little black print looks like glitter from far. You're right, this quilt would be great on the wall, but then you can't see the neat way the quilting looks on the back--so maybe as a baby quilt would be more fun. Thanks for sharing all those different colorways--it sure is a versatile design. Congratulations on the pattern release, Leanne. 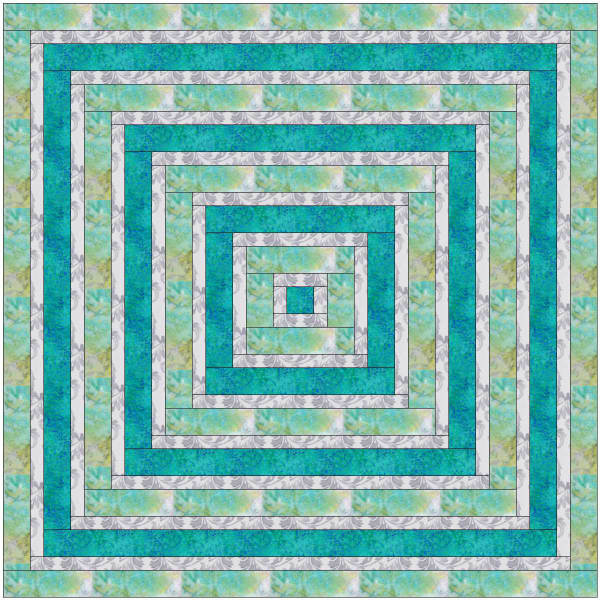 It's a beautiful quilt that lends itself to many different versions--perfect for beginners or more advanced quilters. Great job! 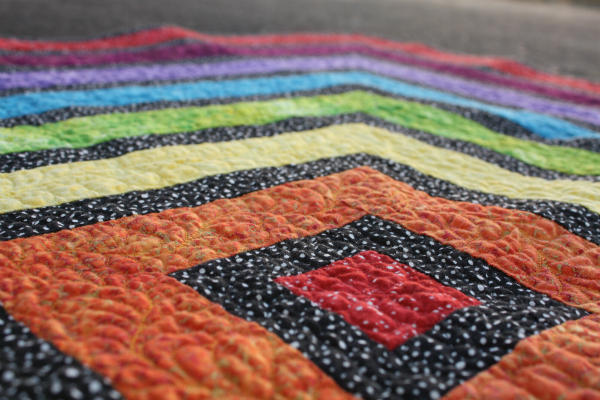 Your finished quilt is a beauty! I love the black too. Makes for a lot of dimension.